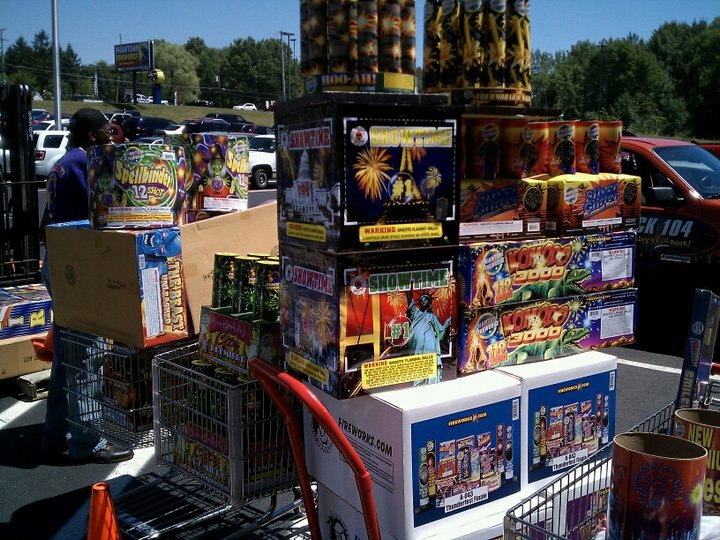 Well, a bunch of us from work decided to put in a fair amount of money toward fireworks this year. 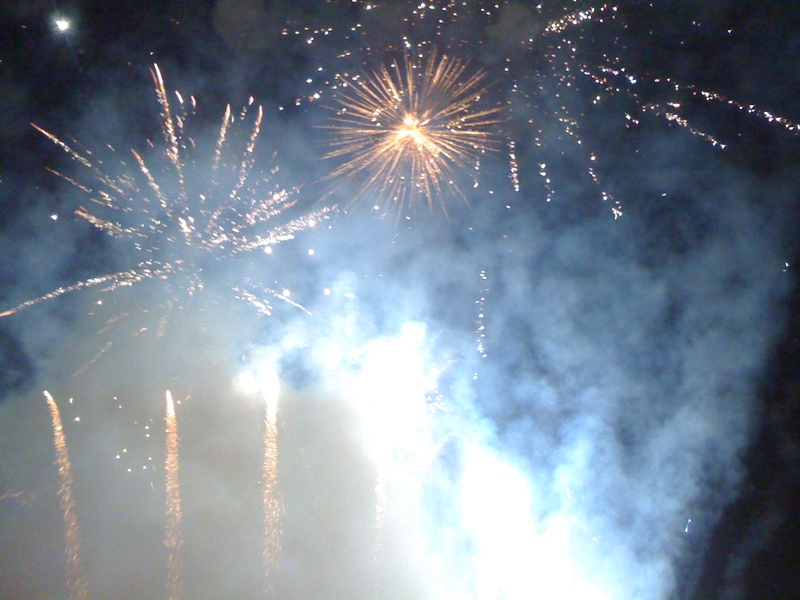 Simply, because we love explosions. 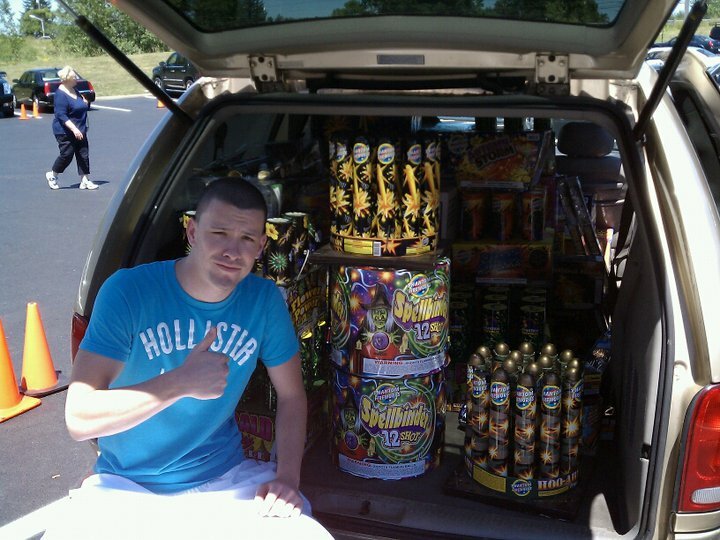 On this beautiful day of July 3rd; Adam, Matt, Nayef, Lee and myself all went to Phantom Fireworks in Boardman. 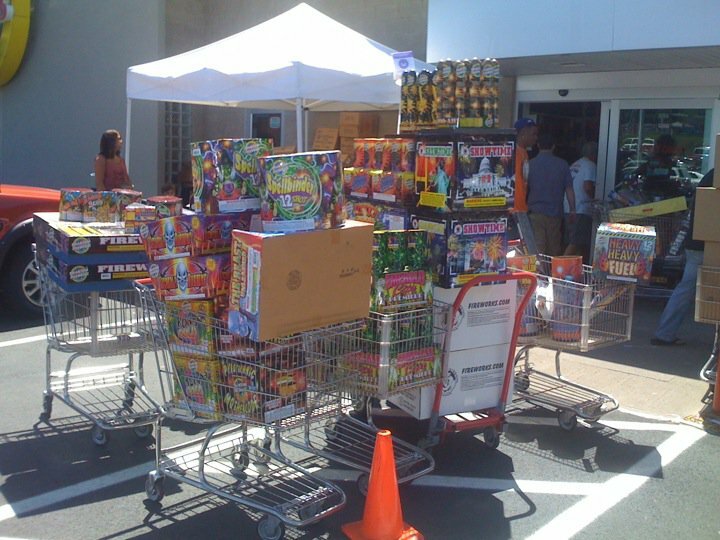 In a nutshell, we bought about $9000 worth of fireworks for this years festivities. We went back to Lee’s, played some basketball and ate some meat. 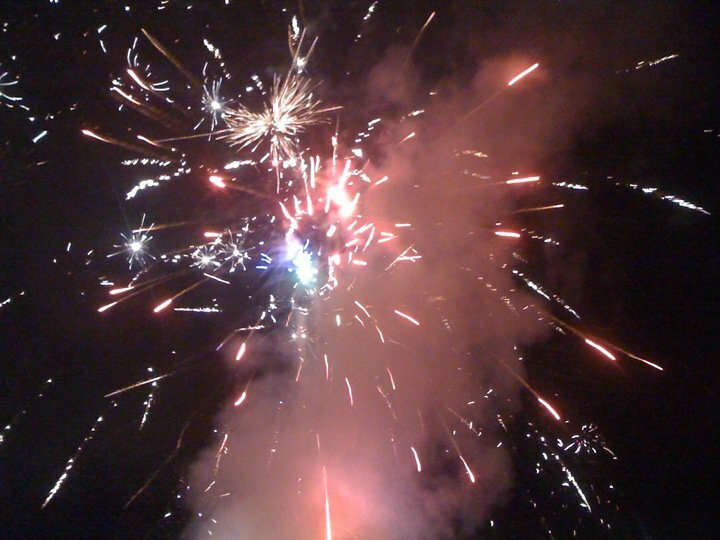 Later, we ventured to a friends house to light these off. Everyone in the general crew came. 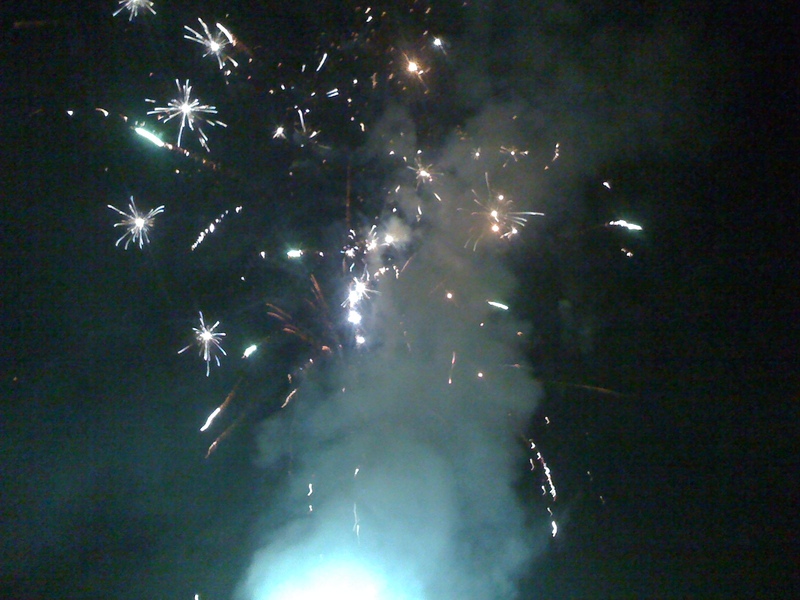 We got through maybe 25% of the fireworks, then Tim’s dog ran away so we had to call it quits. We ended up leaving after searching for the dog, and guess where we ended up… Yep, Denny’s. 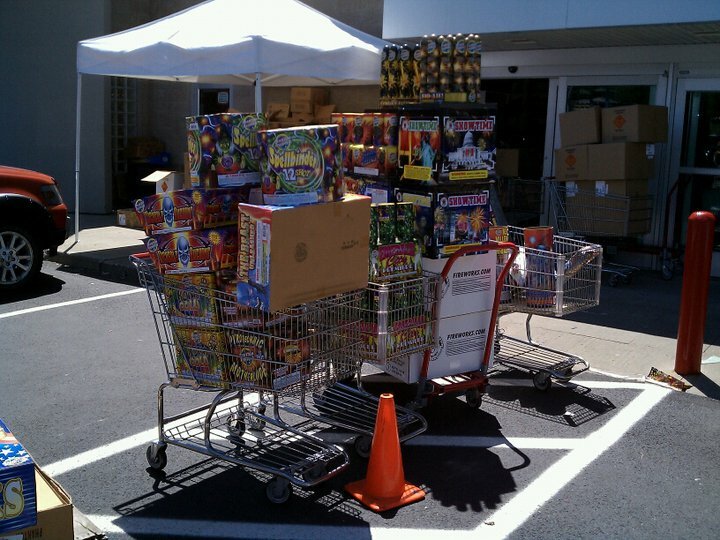 We now have 75% of $9000 worth of fireworks to blow off tonight.